Success has been achieved in a cloture vote on the Matthew Shepard Hate Crimes. The Senate passed it by a vote of 60-39. 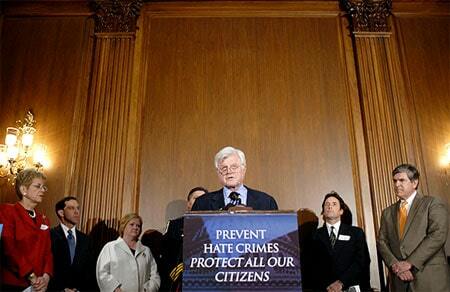 The Senate then added the Kennedy-Smith hate crimes amendment to the Department of Defense authorization bill by voice vote. Bush has threatened to veto the hate crimes bill, but now that it is attached to a bill funding the Defense Department and his Iraq war, will he still veto it? Judy and Dennis Shepard have released a statement.